Tibet has not issued Tibet permit for Norwegians since 2010. It has been about 8 years since Norwegians been banned from Tibet travel steaming from the Nobel Peace Prize being awarded to Chinese dissident by Norwegian Nobel Committee. Over the years, there has been guessing & expecting over the reopening of Tibet to Norwegians, but up until now (10 April 2018), Norwegians are still banned from Tibet. However, there is high hope that this may change in 2018 with the unfrozen of Sino-Norway relationship. Many Norwegians had contacted us over the years wanting to travel Tibet. We want to emphasize again here that this is an issue between governments, and has nothing to do with common Tibetan & Han people. We don’t dislike Norwegians. Generally, we are friendly to all foreign travelers. With the promising reopening of Tibet permit for Norwegians in 2018, we’d like to give Norwegian travelers a rough rundown of how does this work. After all, it has been 8 years since any Norwegian travelers set foot on Tibet. Step 1 – Contact us. Based on your preference and interests, our experienced travel consultant will assist you to plan a perfect Norway Tibet tour. Step 2 – Pay required minimum deposit to have the booking confirmed. Step 3 – Provide us required docs: Passport dada page & Chinese visa page in due time. Step 4 — Pack your bag. We are waiting for you in Tibet. Tibet travel permit are needed for Norwegians as with all foreign tourists from any other nations. For us to obtain Tibet permit for Norwegians, we need below 2 documents from you. 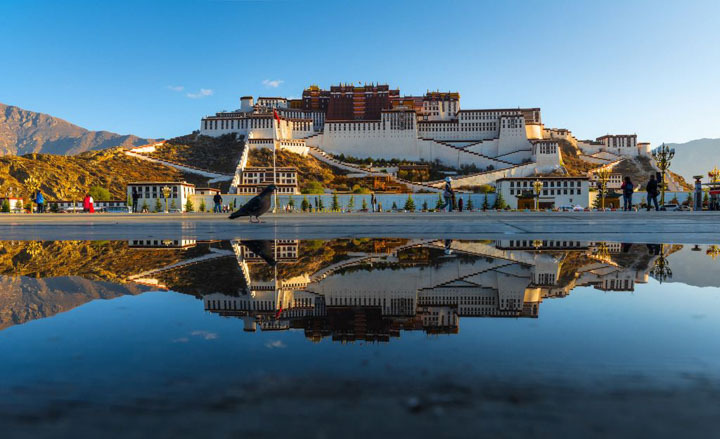 Some may think Tibet permit sound very formidable and complicated, actually Tibet permit application is a regular procedure at Tibet Tourism Bureau which as a local agent we are familiar with. There is no direct international flight from Norway to Tibet. To travel from Norway to Tibet, you will have to stop over in some cities of China, e.g. Chengdu, Beijing, Shanghai, Guangzhou, etc. Then take the China domestic flight from these cities to Lhasa. Ideally, we suggest you spend one night in these cities to receive your Tibet permit at your hotel there. Among all of these cities, we suggest you Chengdu as your first choice, which is more closely connect with Tibet. And our Tibet Ctrip Travel Service team also have an office in Chengdu besides Lhasa. If you have any questions about Tibet permit for Norwegians, feel free to contact us.